You can now download iOS 11.1 beta 1 for your iPhone, iPad or iPod touch device. Here are the details on the release. 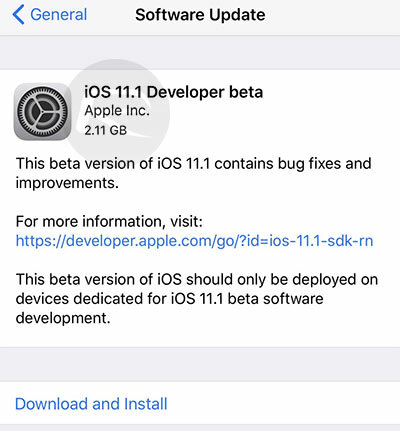 Following hot on the heels of the initial global iOS 11 launch, as well as iOS 11.0.1, Apple has officially made iOS 11.1 beta 1 available to the developers with immediate effect. The release will come as a shock to a few who are still settling into and actually getting to grips with iOS 11.0.x, but it’s not an entirely unprecedented move as the Cupertino-based company took the same approach last year with iOS 10.1. Apple has called upon developers and public testers quite heavily over the last few months. Tim Cook’s company will now be looking forward to the feedback of those developers and testers again with today’s release of iOS 11.1 beta 1. This next point version of iOS 11.1 is not only expected to fix a number of issues that shipped with the initial release, but also expected to bring some new functionality with it. In addition to introducing some patches, fixes, and under-the-hood improvements based on feedback from the iOS 11 final version, Apple did say that it will unlock some additional functionality within iOS 11 in a future update, namely Apple Pay Cash which will bring the ability to send peer-to-peer cash via Apple Pay through the iMessage protocol. Anyone receiving those funds from Apple Pay Cash is then able to use them to pay for purchases online or through apps that support Apple Pay or to actually transfer them out to a nominated bank account. This was a feature that Tim Cook and his team talked about on stage during WWDC but later confirmed that it wouldn’t actually be part of the initial iOS 11 launch. No official release date was given at that time, but maybe it will be brought back with this update. Alongside Apple Pay Cash feature, iCloud sync for iMessage as well as 3D Touch App Switcher gesture features are also expected to be part of iOS 11.x update at some point. Whether all these features made it into iOS 11.1 beta 1 or not, we don’t know for sure just yet, but we will let you know once we explore iOS 11.1 beta 1 in the next few hours. 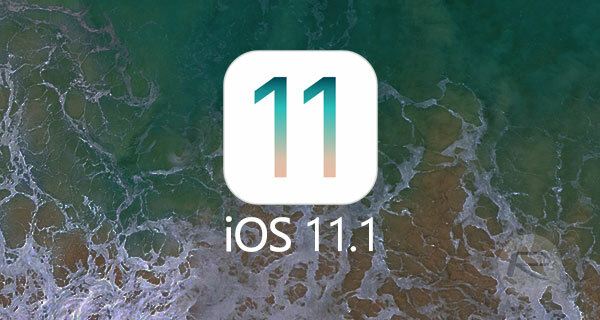 Those who already have iOS 11.x installed on an iPhone or iPad should should hopefully also notice an improvement in performance and eradication of any bugs that they may have already come across in iOS 11. If you already have iOS 11 beta configuration profile installed, the update to iOS 11.1 is available right now as an over-the-air download from Settings > General > Software. iOS 11.1 beta 1 is also available to download in IPSW form from developer.apple.com. The final version of iOS 11.1 will likely coincide with iPhone X launch in November. Update: iOS 11.1 beta 1 changes are detailed here: iOS 11.1 Beta 1 Release Notes, Changelog And All Changes In One Place. Nope. No 3D touch switcher gesture on my 7Plus and no iCloud message sync settings on either my 7Plus or iPad Pro.